Born on 6th August 1956 in Peru. 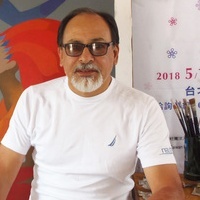 He has created a dream-like world through his expressing the internal and external fantasies of his imagination with his precise talents in painting and drawing. The expressions and the sensual movements that appear in each piece, create mystic allegories about the universe. By combining his interest in the human form with his desire for symbolic content, he has engendered a language that explains the human condition through a unique perspective. There is a method through which he develops his art relying on material and composition to develop his personal, magical universe. De la Barra considers himself a Surrealist, one who plays and exaggerates reality as perceived in this subjective world. 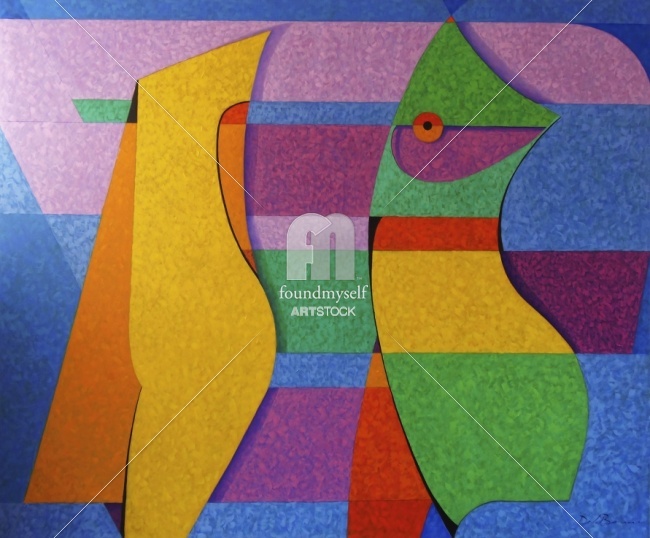 He attended the Fine Arts Autonomous Superior School in Lima, Peru, where he studied Painting, Illustration, and Murals, combining this academic training whith innate tendencies toward abstraction, he developed a figurative style that was immediately well received and noted for its innovation. De la Barra, reputation is well pronounced throughout South America, and has lead to a long career history of eminent exhibitions and Awards. His reputation has sent his work all over Europe and North America where he is recognized as one of the most innovative artists of his generation. - First prize , Mural (Bellas Artes) Lima Peru (1985). - Prize: “International Art Contest-1998”, Soho, New York (1999). ART REVOLUTION TAIPEI 2013, Taiwan, may.03-06 May.